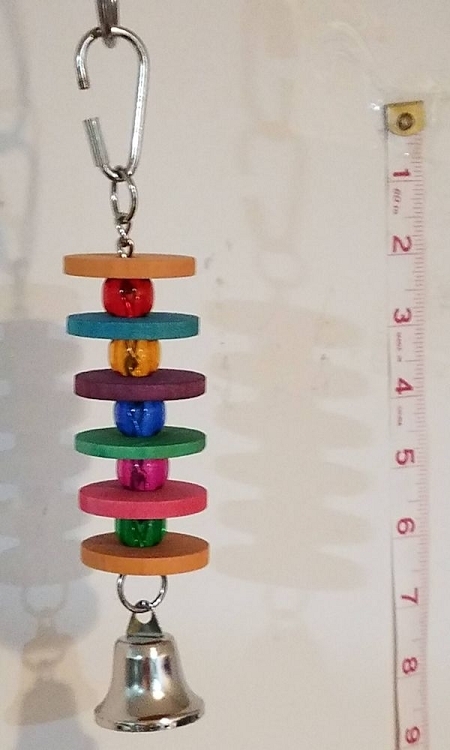 Colorful wood disks along with colorful beads strung on nickel chain, with a 32mm stainless steel bell on the bottom - great noisemaker for your small or medium birds! About 9" long. 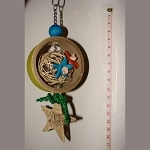 Stainless steel quick link optional.